Cynthia wrote in last month about getting to Hotel Cortijo Blanco by bus from Malaga airport. I suggested getting the very good bus service from Malaga airport to Marbella bus station (8 euros) and then a taxi from the Marbella bus station to the hotel which would cost around €17 by day and €20 after 10pm and at weekends. I told Cynthia that she could actually take a bus from the Marbella bus station to just beyond the Cortijo Blanco Hotel but there were big road works going on in right in front of the hotel and the footbridge is more than 500 metres beyond the hotel and will be moved again over the next 15 months as the road works progress. Gomarbella has a list of all the bus stops between Marbella and Estepona and the Hotel Cortijo Blanco hotel bus stop is clearly marked but bus travellers to the hotel will be getting off on the opposite side of the road and there is no clearly marked or safe pedestrian crossings to cross that stretch of road. I advised Cynthia to take a taxi from Marbella bus station to the hotel or take the same bus above to the San Pedro de Alcantará terminal, the next stop along from the Hotel Cortijo Blanco stop and then a taxi back along the road to the hotel. It would be a minimum fare of about 7 euros during the day. On the way back to Malaga airport however she could take a the bus all the way back because the bus stop is right in front of the hotel. Having said that, there is nothing more than an indentation in the pavement outside the hotel to show it is a bus stop, there are no bus stop signs at all! If you look carefully at the picture above you will see the bus stop shelter on the left and then a large white lorry coming towards the camera and an ambulance going away from the camera on the other side of the road. Between the lorry and the ambulance you will see a bus parked off the road, it is just in front of the Hotel Cortijo Blanco. There is no pedestrian crossing over this busy and dangerous road without walking back into San Pedro to the San Pedro bus terminal which is 500 metres behind the camera. My advice to Cynthia was to take a taxi from Marbella bus station to the hotel or take the bus to San Pedro where she could cross the road and walk back or take a minimum fare taxi ride back to the hotel from San Pedro. I am pleased to say everything worked out fine and it was good to meet up with Cynthia and Jim later at the hotel during their stay. On the way back they took the Estepona to Marbella bus from outside the hotel back to Marbella bus station and then the airport bus back to Malaga airport. Hello Simone, I'm sure you'll do really well. I've been the extra hands with my daughter and our grandchildren between Gatwick and Malaga more than once which is why I admire mums travelling on their own so much. Thanks so much for your extremely helpful response. It secret to successful travel with little ones is to plan ahead so it really means alot to us to have this additional info. We will head for the fuel station as suggested, but given your comments I will make sure that we have a few extra emergency supplies in our luggage. My parents will be joining us at the apartments so I do have some extra hands once we are there. Hi Simone, thank you for writing in. I think you mums are so brave setting off on long journeys with the little ones, I really don't know how you do it! A taxi from the airport to Puente Romano will be a good start. On the way back, ask your driver to take the AP7 toll road and about 5 minutes after passing through the Calahonda toll, there is a services area with a gas station and the shop will have the basics that you need. If you are passing through after 10pm you'll order through the window, if you are earlier, you can walk in. It will be perfectly safe to leave the children in the taxi which will be right next to you. The next service station shop on your route to Puente Romano coming off the toll road is right next to the Marbella bus station and will offer the same services, milk, bread, butter and water and so on. Again the taxi will be right next to the shop, I would be surprised if the taxi driver didn't go in for you. There are shops dotted around Marbella and along the Costa del Sol called Opencor. They stay open until midnight if not all night and offer a much wider range of food and drink but none within easy walking distance of Puente Romano apartments and not moving with the young family. The nearest reasonably priced restaurants are about a kilometre from your apartments back towards Marbella and on the other side of the main road. I wonder if the reception at Puente Romano apartments would do you a starter pack? Simone look back at this page again before you travel because I'll go over and check out the area (which I know well) just in case I have missed anything, shops open and close and there might just be something new. In the meantime, feel free to ask any more questions. Thanks for all the useful information on your Gomarbella Travel Pages. It has really helped with planning our holiday. We will be arriving at Malaga airport next Sunday. As I will be travelling alone with 3 children under 5 we are planning on getting a taxi to our accomodation at the Puente Romano apartments. My quesiton is where would you recommend we pick up some basic food supplies for our first night (i.e. a shop that is open on Sunday). Is there somewhere at the airport or will we find somewhere near our apartment that we can easily reach on foot. We just need the basics like milk and bread etc. If its not possible to buy food supplies on Sunday could you recommend a restaurant that is very near the Puento Romano apartments and reasonably priced (I know there is one at the hotel but I understand that it is extremely expensive). No problem at all with the airport bus to Marbella and your timings. There are buses every day of the year. For some reason, there is one particular service which does not run on a Saturday morning and one on a Sunday. If you call up the Portillo bus company's Marbella bus timetable, one of the links off the Airport bus page, you will see these two services marked in yellow. They won't affect you because by the time you arrive, there will be a bus and there are lots of services later throughout the day both on Saturdays and Sundays. Hope that helps you but if you are in doubt, let me know. I'll go across to the website and try to explain it better. Have a great trip, bring your sun cream because it's getting quite hot in Marbella. Hi Mike…loiving your site some fab info.. I was wondering if you could give me some advice please.. I have looked at bus time tables and I am slightly confused. Me and a friend are staying at Cortijo Blanco and were wanting to get the bus from the airport.. our flight gets in atr 11am on Saturday 11th June..will there be a bus available at this time or even a couple of hours later?..with it being a saturday?? 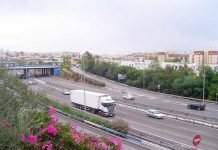 The tunnel under San Pedro de Alcántara won't be open by the summer but the traffic is running very smoothly around the town on the bypass so you shouldn't have any difficulties along that part of the Costa del Sol highway. Check in again nearer the time and tell me where you will be staying and I'll tell you the latest. Best wishes from Marbella and thanks for writing in. Thanks very much for writing in. Yes, there is no public transport running out of Malaga airport at that time of night. If you are going to have a relaxing hotel holiday, you probably won't want to be getting into a car every day especially in the height of summer and so a taxi from the airport to the Hotel Cortijo Blanco and a local bus back to the Marbella bus station followed by the shuttle bus to the airport is an easy and practical way alternative. If you do decide on a hire car to get up and down the coast (Hotel Cortijo Blanco has a guests' car park) then of course please first check out the absolute Gomarbella car hire bargains. Catching a bus towards Puerto Banus and Marbella is very easy, the bus stop is right outside the hotel. Coming back by bus to the hotel is more difficult because the bus stop is on the far side of the road and some distance from the hotel so a taxi home will be easier. Once you have checked it all out it will be quite simple! There is lots on the go for children in the hotel, they have a strong entertainments team with organised activities in the courtyard, there's a fantastic pool and of course there are things for them to do in nearby San Pedro as well as up and down the coast. I hope this helps you Tina and that you have a really relaxing holiday. The weather's great, hot, clear skies and the sea's just waiting for you and the family! We are 4 people travelling to the Cortijo Blanco Hotel next week (2 adults + 2children). We found this page when searching for how to get there from Malaga airport. However, our plane lands 00.50 saturday august 7th, and as we can see of the timetable, this is too late to catch the last bus? Do you recomend a taxi or that we rent a car? Also, is there any places nearby to go with children (age 3 and 6), amusementspark/waterpark or something? That's very kind of you to write. Yes, the road works are really under way now and although there is a bus stop right outside the Cortijo Blanco Hotel if you are going towards Puerto Banus, Marbella or Malaga, you will have to walk quite a long way if you get off on the other side of the road, coming to the hotel from Marbella. Let me know if I can help at all. The weather is fantastic right now. Best wishes from Marbella Sean and thanks again for your contact. Thanks very much for your contact. 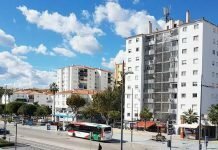 To get to Puente Romano Hotel from Malaga airport the simplest way and most economical way would be to take the bus from Malaga airport to Marbella bus station. The journey costs €8.50 per person, the children might travel free if they are young enough or half price. From the bus station in Marbella I would then take a taxi to the hotel. There are always taxis outside the Marbella bus station. That journey should cost around €9.40 or less during the day. So for less than €20 you could move the whole family from the airport to the hotel. If you decide to take a taxi all the way, the official rate for the journey according to Taxisol our local Marbella taxi company Tel: + 34 95 277 44 88 is €56 during the day and €66 after 10pm and over weekends. 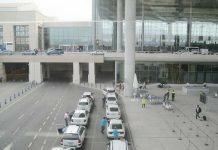 There are always taxis just outside the arrivals area at the airport. I hope this helps Sammy, please write back if I can help you at all and thanks again for using gomarbella to help plan your journey. Can you recommend the best way to travel to and from Malaga Airport to the Puente Romano Hotel. There will be 2 adults and 2 children travelling. Both journeys will be during the day.